Get the party started! This high-end ceramic tabletop bowl will delight even the most discriminating fans. 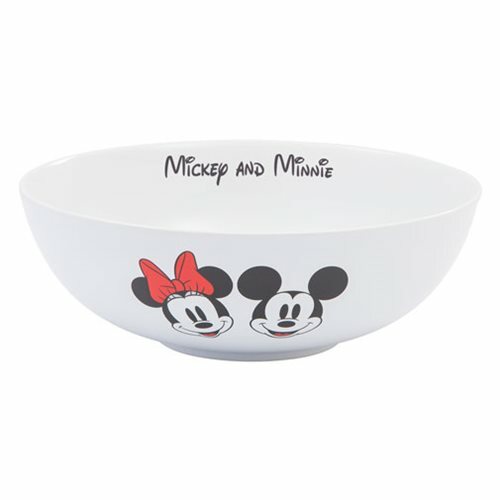 The Disney Mickey and Minnie Mouse Ceramic Serving Bowl measures approximately 10-inches in diameter and comes packaged in a gift box.